The pace of development of smartphones is truly incredible. 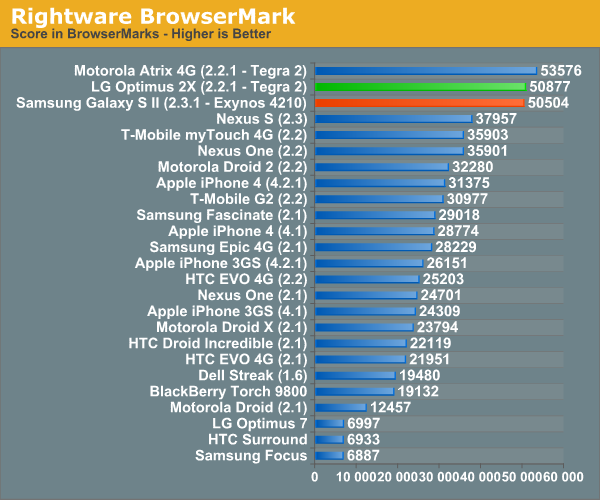 It seems that every 3 months there is a significant improvement in terms of performance of the top-end handsets. At the time of writing, the fastest smartphones currently available sport a 1.2Ghz dual-core processor around 1Gb of RAM and are around 1/2 the speed of an average laptop in terms of Web-based performance. The dominance of the above handsets will be shortlived, as manufacturers have already begun to announce devices with 1.4Ghz dual-core processors which will be coming soon. One example is the Samsung Galaxy Note which will also have an amazing 5.3 inch screen running a resolution of 1280 x 800. Nvidia have leaked the following roadmap for their mobile chipsets which show the exciting pace of development and how we can expect some blazingly fast smartphones in the very near future. Smartphones will become faster than PCs! The Kal-El chipset will feature a quad-core processor and is likely to feature in tablets first. The problem with faster Ghz speeds is of course power consumption. Manufacturers appear to be adding cores so that there is power available when required but the phone can function with just one core operating when being used less intensively. There doesn’t appear to be any significant progress on the battery side of a smartphone and so manufacturers focus on ways to give more speed for less power consumption. Therefore we can expect the die sizes to continue to reduce. 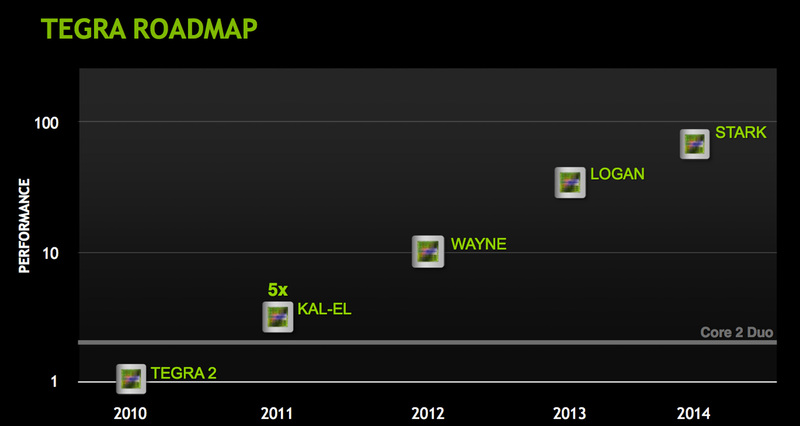 Nvidia, for example, are moving from 40nm to 28nm which will also help reduce the amount of heat generated. Check out Best Smartphone for the latest top-end devices.